Flashing iPhones, glaring laptops. Some days, we spend more time peering into the void of our digital screens than experiencing the world around us. We’re finding it harder to relax than ever before. We can even begin to lose contact with those around us, even falling out of tune with ourselves and our own thoughts and emotions. 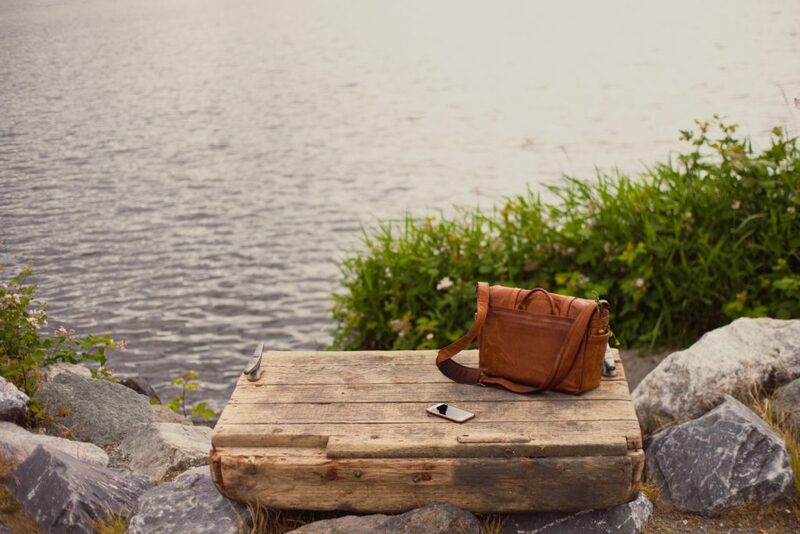 The Digital Detox Challenge is a refreshing way to break out of the tech cycle. It will help you to reduce your information overload as well as becoming less stressed. It will help you avoid a feeling of being overwhelmed by the online world. It will also help you learn why you are spending time online and understand your triggers to do this. You can then learn how to deal with them. It could be difficult at first – connecting to the real world. But you will soon realise that it helps to enrich and enhance your life. It clears your life of digital noise and clutter, allowing you to re-engage with the world. It can also help you stay productive and emotional balance as well as have better focus. One crucial part of this is to learn how much time you’re spending online and on your phone, and what are your triggers and reasons for doing this. By understanding this, you can reduce your information overload and stress levels. So are you ready to evaluate your digital detox progress weekly and see how your life is changing? The digital detox challenge will differ from person to person. For some, it can be truly liberating and make you feel good going offline. For others might need smaller changes one step at a time. First of all, we need to monitor your current time spend on digital appliances for a week. We also need to find out what are your triggers for keeping you online. Use the table below to log your time spent on using the interest and your smartphone for the week. Do this even if it is just a quick five minutes to check and update mark this down. Make a note of how you were feeling. See how many minutes you devote to each type of media. It might be an eye-opener. Is it because you have a fear of missing out? Or boredom or something else you procrastinating on something harder, more uncomfortable, like work or exercise or socialising perhaps? Are you physically present but mentally elsewhere? Are you online while eating –talking to others, watching TV? Learn about yourself. Increase your awareness because you cannot change what you are doing unless you are aware. Commit to yourself! Try small a session without being online. Try an hour without any digital device. You might face some internal resistance, but if you tell yourself, “It’s just an hour,” then you know you can get through this period of discomfort. The key is to make the period seem like a small challenge but very doable. Now you have seen how much time you spend online; it is time to make plans in which you incorporate switching off all digital devices into your schedule. Then you have to stick to this plan. The idea is to follow the below formula for the next few weeks. Plan the best time to switch off and then see how this feels. Remember, you might face some internal resistance but tell yourself it’s just a few hours, see how it goes. Use an internet blocker if necessary and some accountability with friends if that’s helpful. You can resist the urge to switch on until the time is up, move onto two hours the following day, then three hours & so on. Start to increase awareness of your urges, and your actions, while it’s happening. That means you need to have reminders around you so that you’re constantly noticing the urges as they come up. You can still act on the urge while you are increasing awareness. But be aware that the urge is happening and see what action you take. Then look at what the result is – how do you feel afterwards? What consequences are there? Of course, there are going to be times when you occasionally break your plan but best to stick to it long term. At the end of the week spend time in reflection. Evaluate your time – Did you spend it well? Do you feel any different from last week? Did you have an urge to switch your device on? – How did you overcome this? What did you do instead? – What challenges arose? Follow Week 2’s switch off times or maybe add an extra hour for each day of the week, if you want to increase the challenge. The aim is to continue building up chunks of time that you are switched off. You have started to add times to your schedule when you have completed switched off from all digital devices so now, within in those terms, begin to make plans on what you will be doing instead. Think about your life. Don’t waste it. Make something. Do something. Learn something. Go outside. Make new friends, go for a walk. Don’t allow your life to sleep away through digital distraction. Live consciously by deciding how you want to spend your time. Use your freed-up afternoon to do those things you always wish you had the time to do. You could pick up a neglected hobby or spend time learning a new language. Or you could try out an original, or exotic recipe that’ll wow dinner guests or even gets stuck in your favourite book. Step outside and explore by trekking through the wilderness or taking a bike tour around your city. You might choose to explore the city you live in or somewhere new. You can even challenge yourself by learning something new like, grow your own garden of plants and herbs, or get physical and reconnect with your body through a new sport. Go spend your time volunteering. Start to make a conscious use the time that you have completed switch off well! At the end of the week spend time in reflection – evaluate your time. Did you spend it well? Do you feel any different from last week? Any urges arise or did it get better? Are you making more conscious decision about what you were doing with your time? A digital detox challenge shouldn’t be a one-off. Maybe you want to reduce time spent on digital devices for good or at least cut back on it drastically. Plan your weekly switch off from week 2 or 3 alongside your planned activities. You could even plan in times when you use the internet, and social media use rather than the other way around. Instead of launching right back into your old media habits, use your media more thoughtfully from now on. See if you can live with less, and work on your personal goals more. Imagine the peace of mind that could come from shutting off the river of information that comes at you daily. Think about the focus you could find without all the distractions. Imagine all the things you can do in your life for the better with this one little edit.